All autographs include “Too Tall”. Other inscriptions are $25. Please visit the GT Sports Marketing website for more information to purchase tickets. 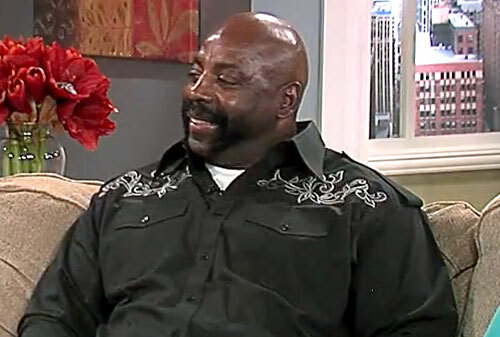 Ed “Too Tall” Jones played his entire professional football career with the Dallas Cowboys. Jones played a total of 15 seasons from 1974 to 1978 leaving the NFL briefly for a period to pursue a career in professional boxing and then returning to the Cowboys from 1980 to 1989. Jones earned the nickname “Too Tall” during his time playing college football. He was part of the “Doomsday Defense” which was the backbone of the Cowboys’ dynasty in that lead them to five Super Bowls and winning in two of them (Super Bowls VI and XII). Jones was a winner in Super Bowl XII. Jones was also a three-time All-Pro for 1981 through 1983. Sports Speakers 360 is a booking agent for pro athletes. If you would like to book Ed “Too Tall” Jones for a speaking engagement, appearance or endorsement, contact an Ed “Too Tall” Jones booking agent for fees at 1.855.303.5450.